This recipe seems pretty fancy, but is super-easy (especially if you already have some pesto in your freezer!). So if you want to impress your spouse on a romantic evening, or have something extra-ordinary but quick, or just want to treat yourself, this is your recipe! It probably would be good with shrimp and/or crab too. 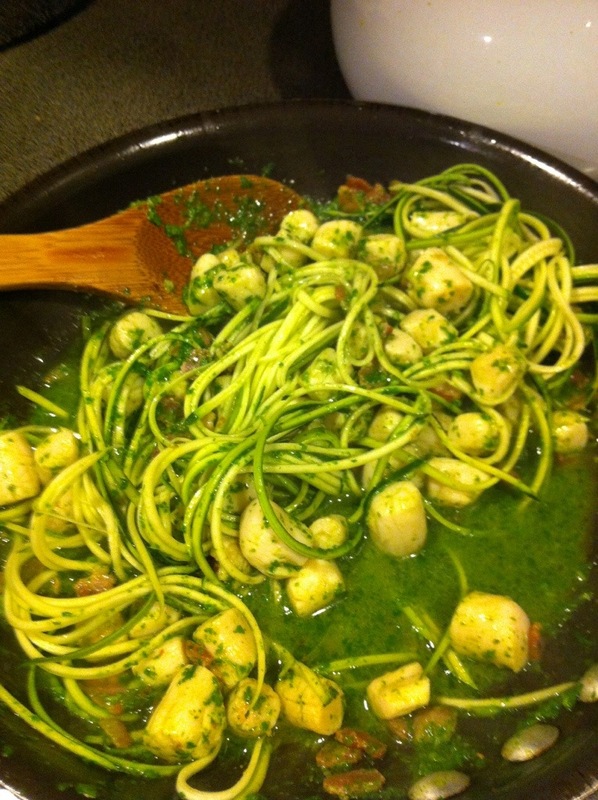 And if your spouse isn’t Paleo, like mine, I poured half the scallop mixture over pasta for him. Poor guy. 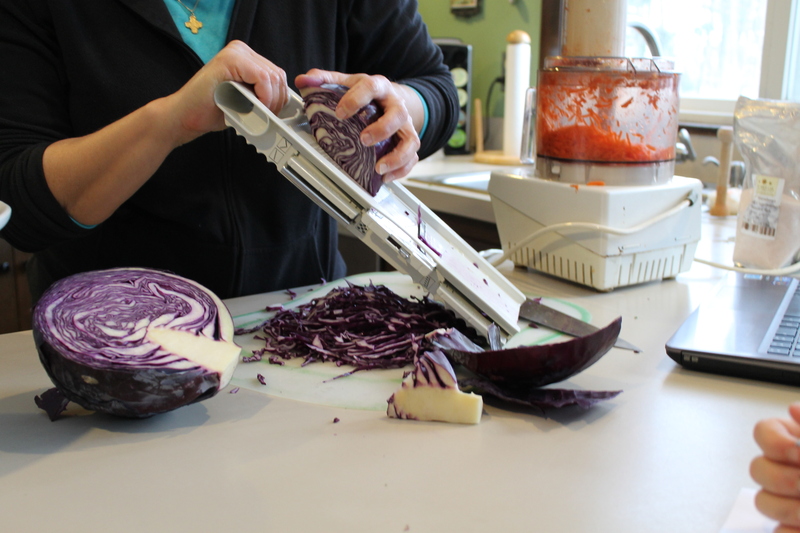 Do you have a Julienne peeler? If not, I recommend this one from Kuhn Rikon. It’s a little pricey, but I make noodles now out of just about anything! 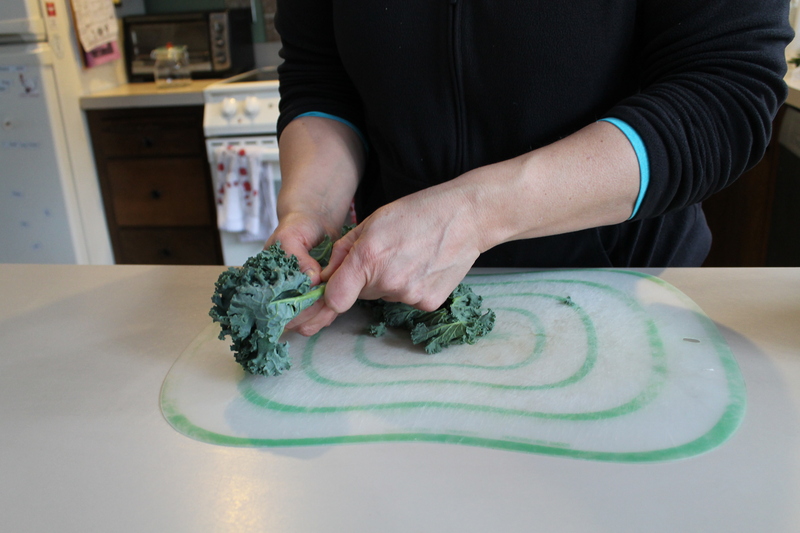 I also have a spiral slicer but it tends to make larger spirals than the Julienne peeler. Which sometimes you want, but sometimes you don’t. 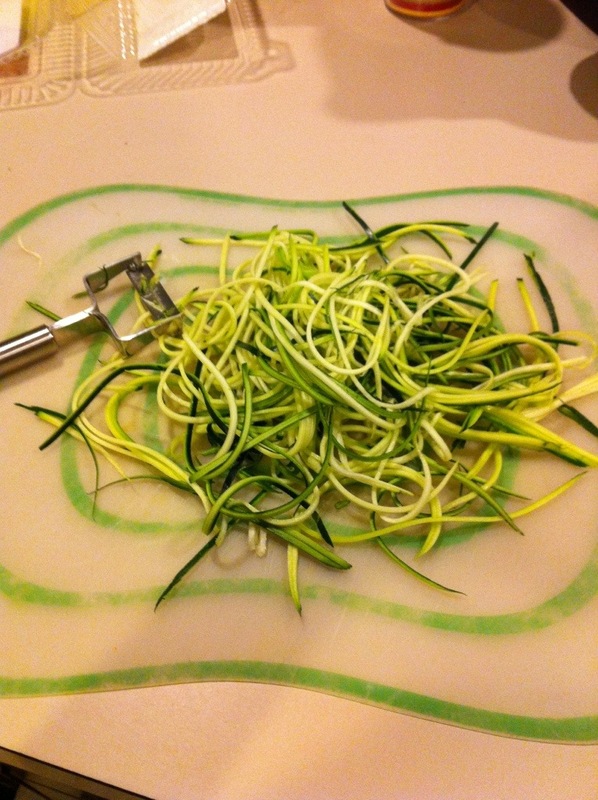 For this I wanted a small delicate noodle, so I went with the Julienne peeler. Start by getting your pan good and hot. 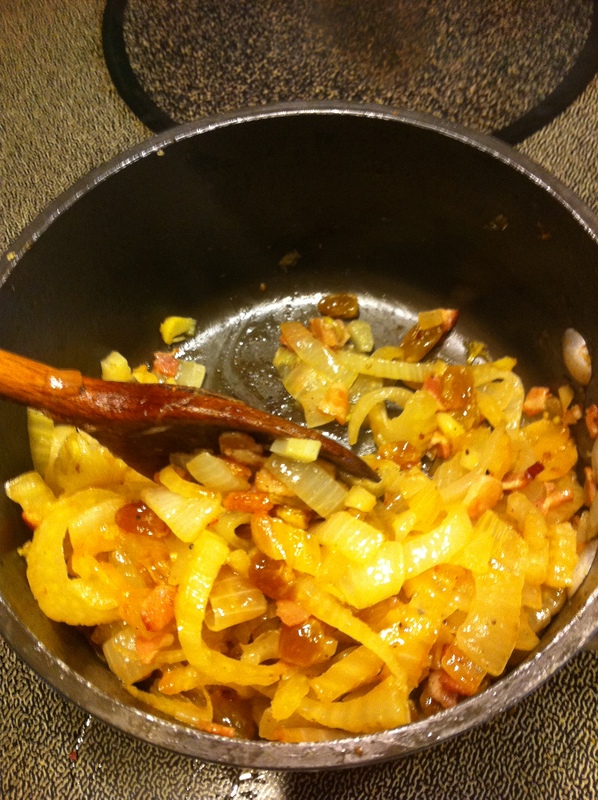 Then add the bacon and stir until starting to brown. 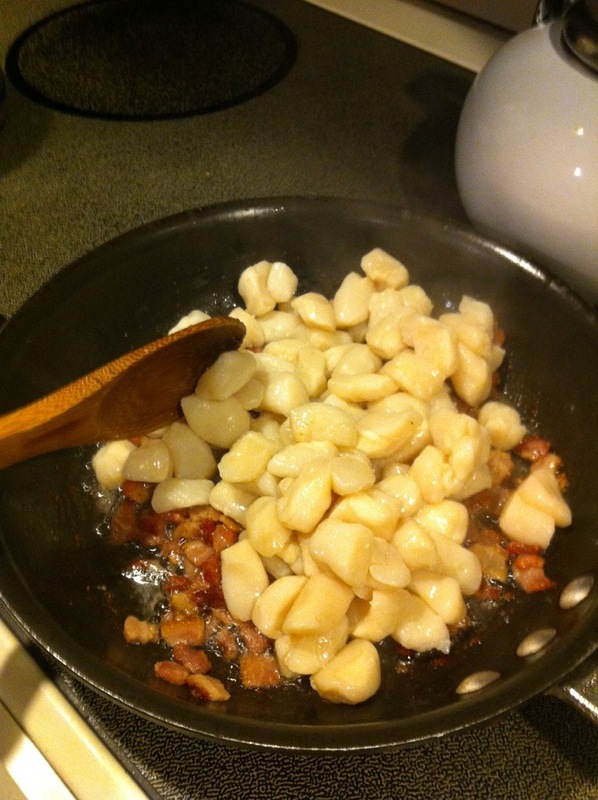 Add the scallops. 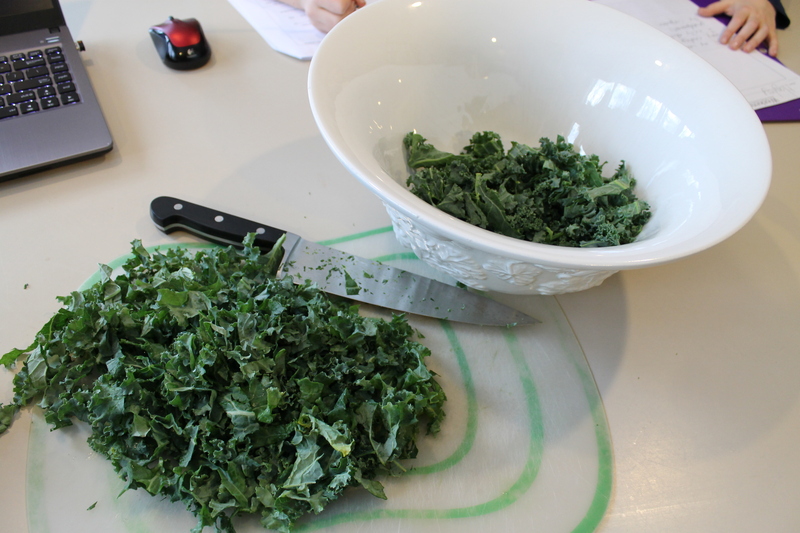 They will cook quickly so make sure everything else is prepared before you add them. Seriously, they cook in just a couple of minutes. Start stirring. 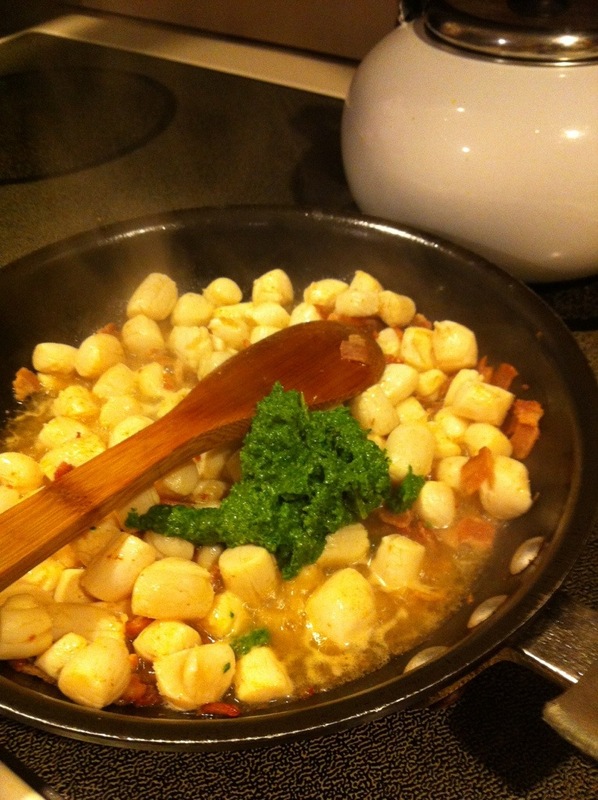 After a minute when the scallops seem mostly cooked, dump in the pesto. 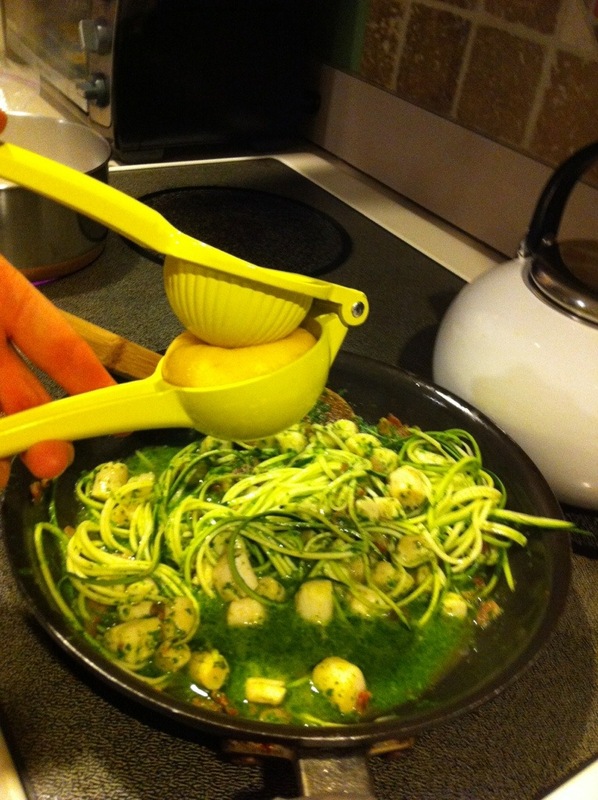 Stir to distribute the pesto, then add the zucchini noodles. 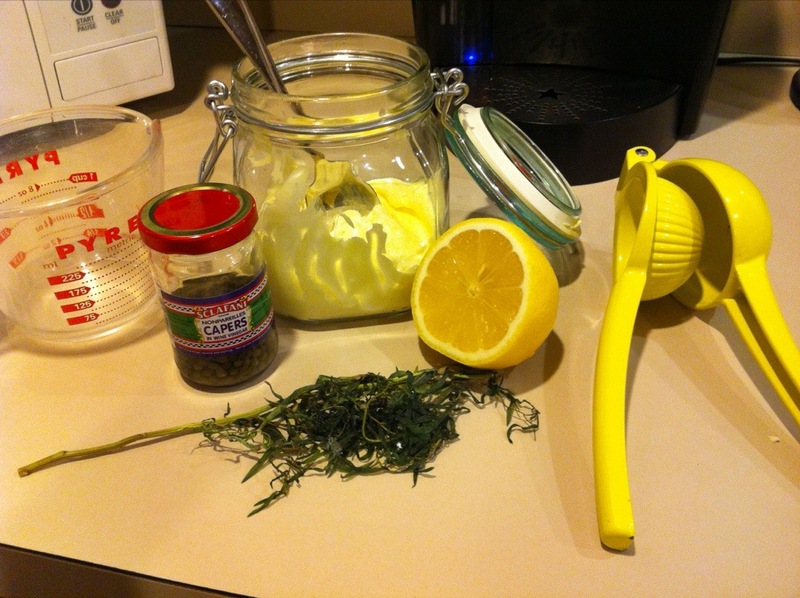 Stir for another minute, then add the juice from 1/2 lemon. Season with salt and pepper (if you tolerate) and enjoy! 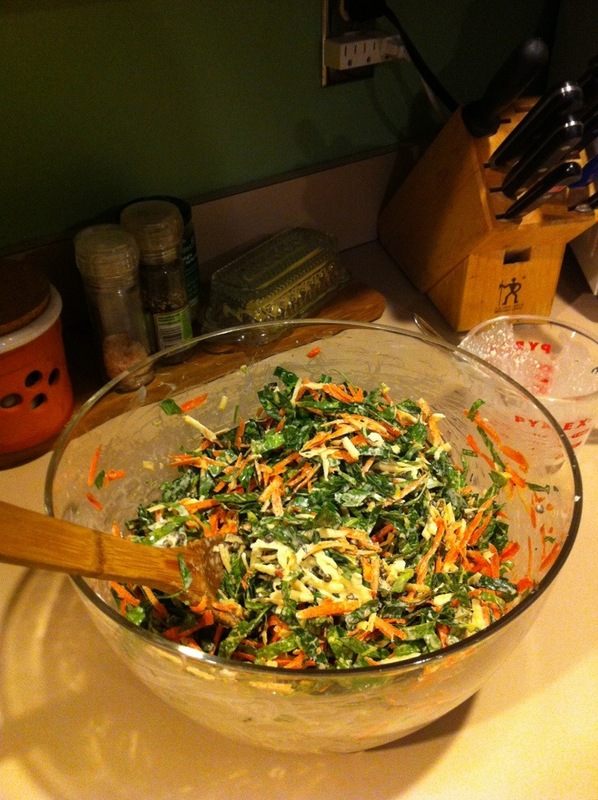 I have a confession … I am not a big fan of salad. And by salad I mean garden salad. I don’t know, it’s just so … blah. Boring. Meh. 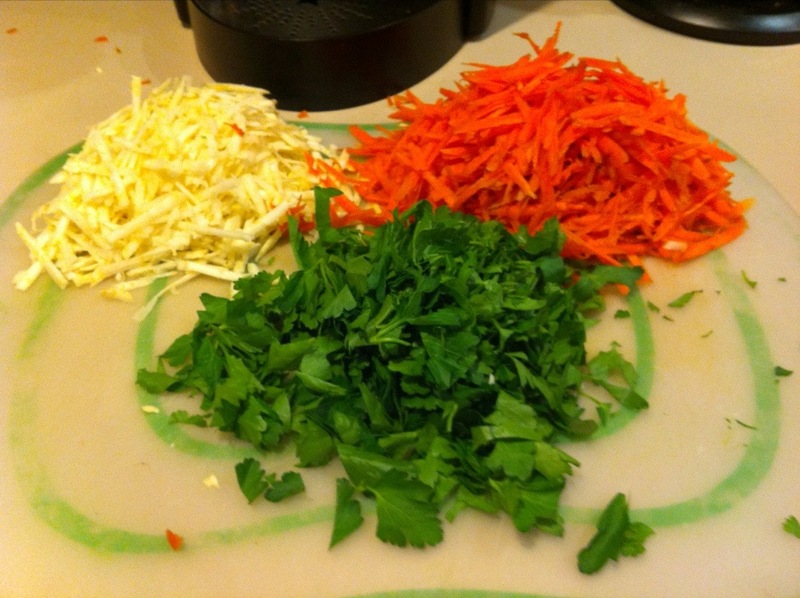 BUT, I love love love my veggies … and to be honest, sometimes I just crave raw veggies. Especially in winter. Or those first warm days in spring when I eat lunch outside and wish I had a sweater. 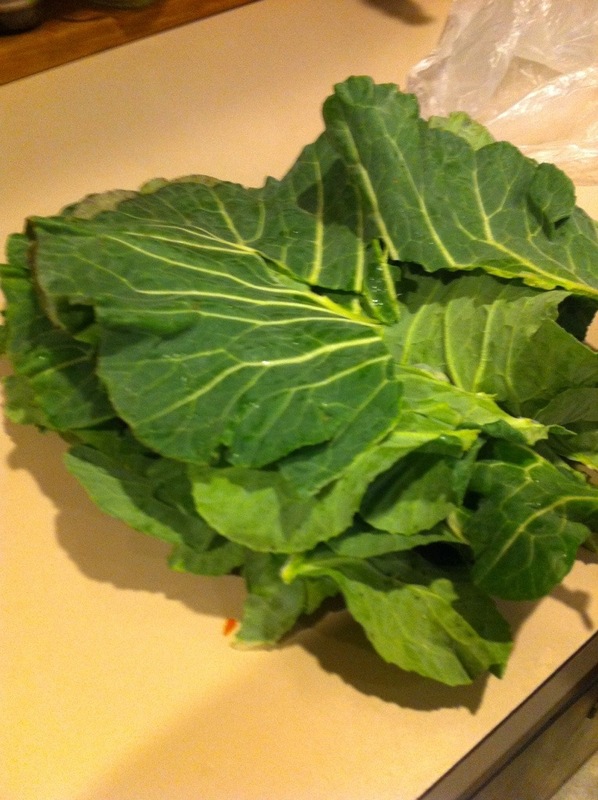 Or mid-summer when my CSA bounty is overwhelming. Who am I kidding? 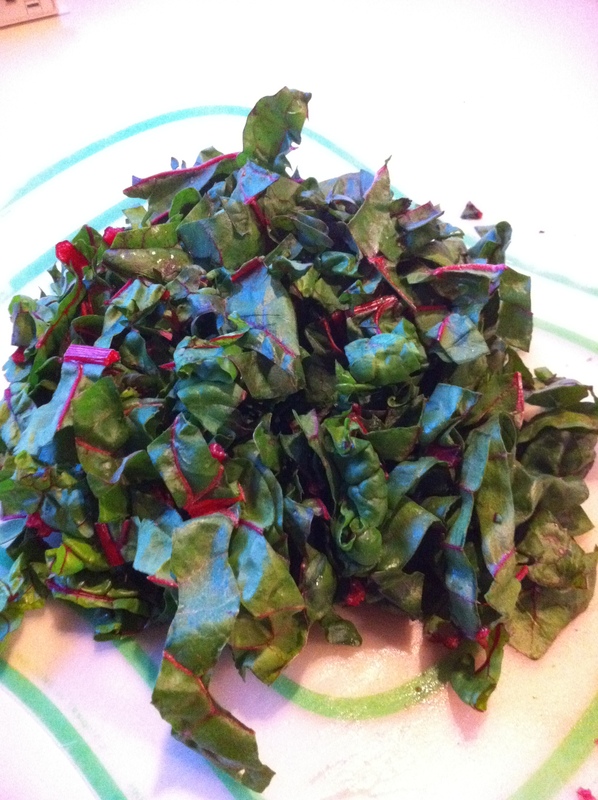 I could eat raw veggies three meals a day, 7 days a week, 365 days a year (366 in a leap year)! 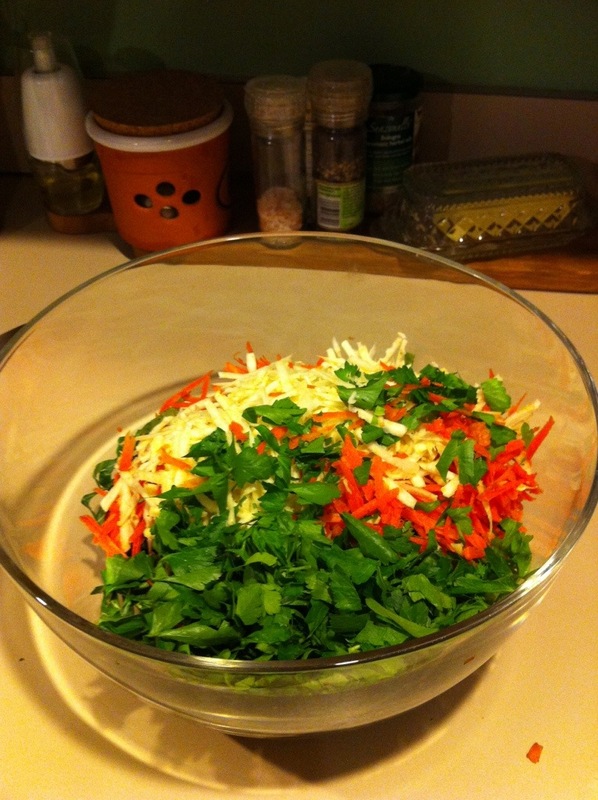 But just not boring regular old “lettuce salad” as my daughter calls it. 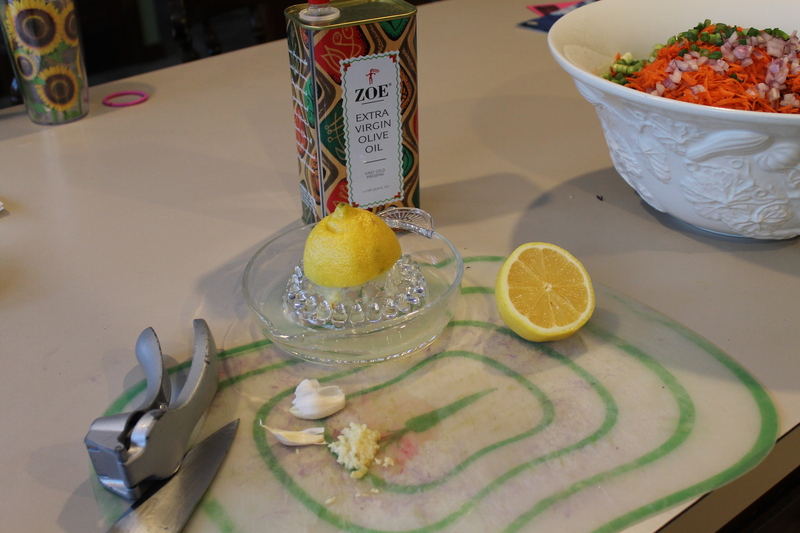 Then drizzle the dressing ingredients over the top, and toss thoroughly. Eat immediately, or let it sit a few hours. This is even awesome the next day or day after. I always try to make extra so I can eat it for meals over the next few days. 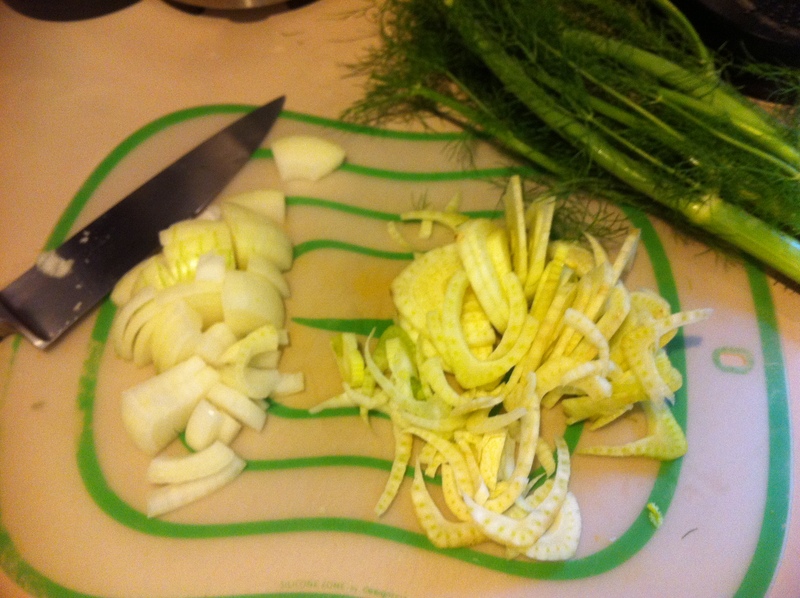 Fennel was my mother-in-law’s favorite vegetable. 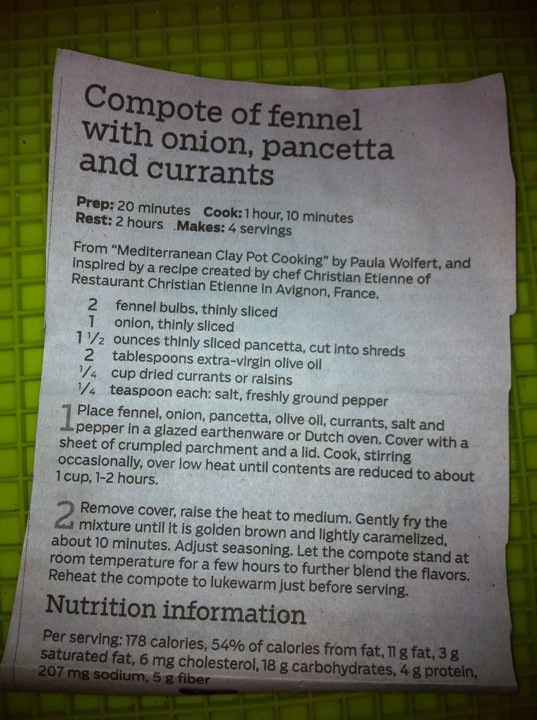 I never had it until I found this recipe in our local paper. 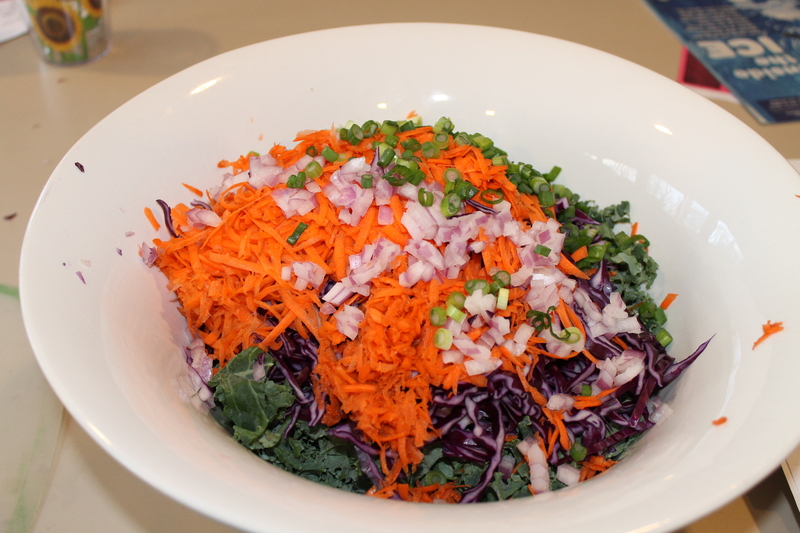 Now this is one of my favorite side-dishes! 1/4 cup of golden raisins. 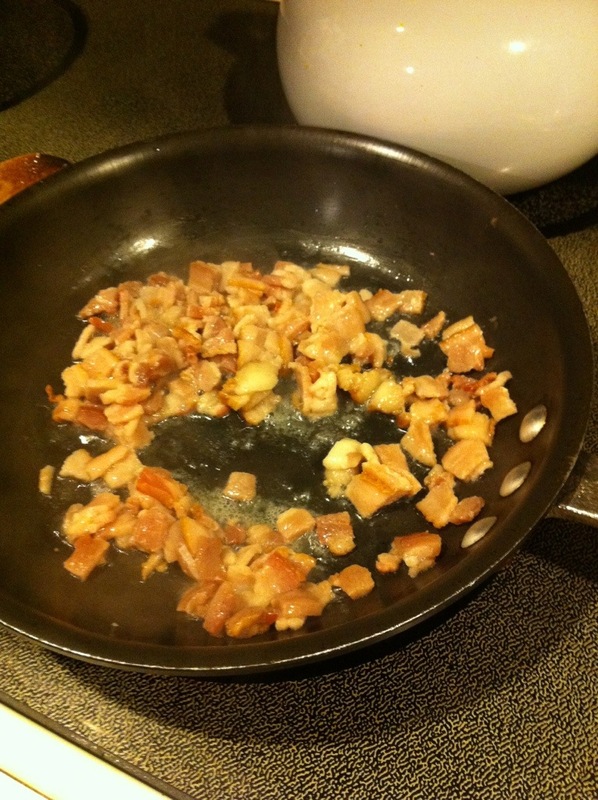 Add the pancetta (or bacon) to a pan and let cook. 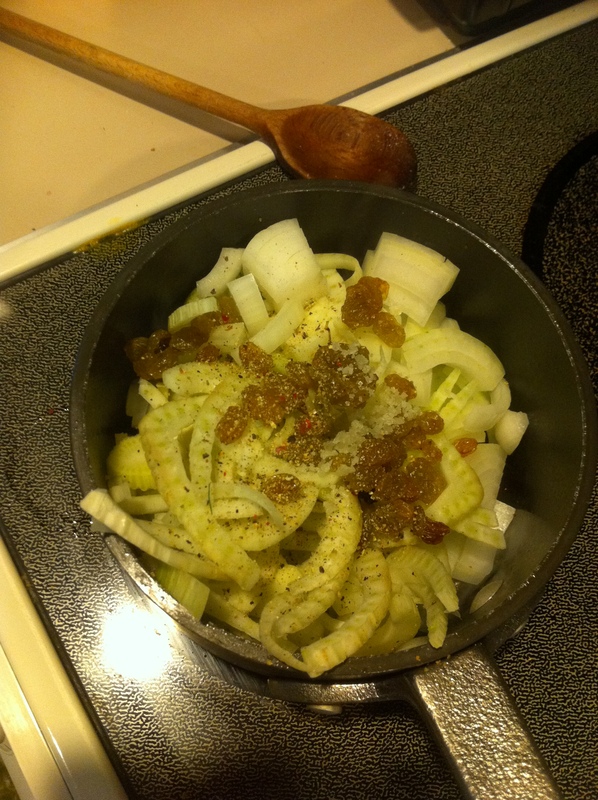 Add the onion, fennel, and raisins. Let start to brown and reduce. Lower heat (from medium/medium-high) to lowish. Cover and let reduce by about 1/2. Raise heat a little, uncover, and let brown up a bit. Eat. Enjoy! 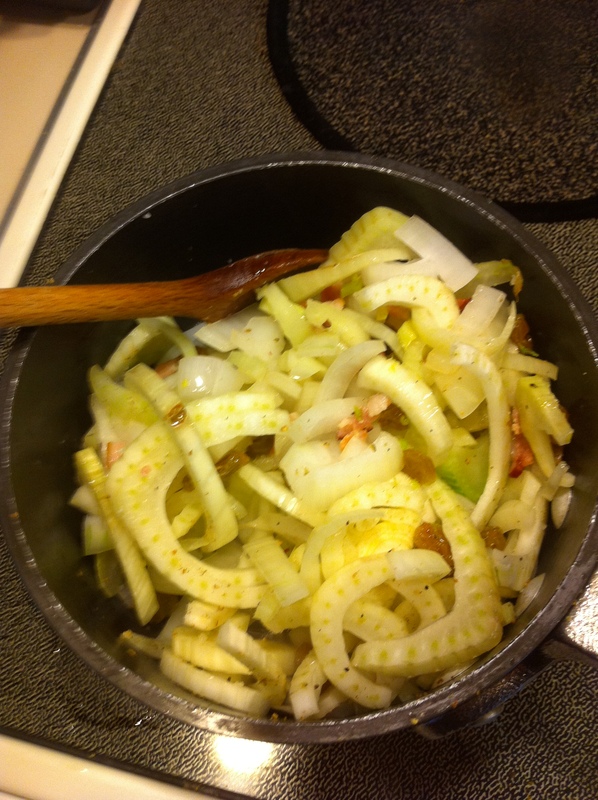 Chop 1/2 large Vidalia or other sweet onion. 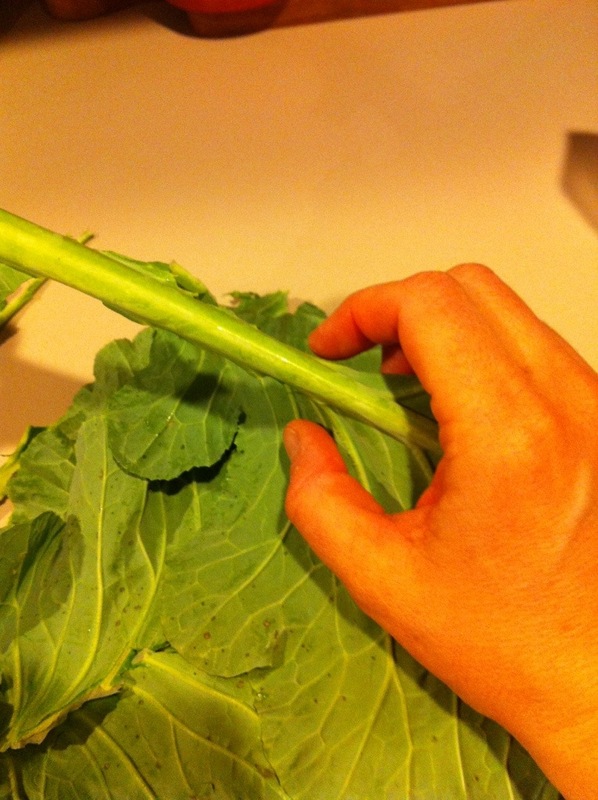 Separate stalks from leaves on chard. Chop roughly. 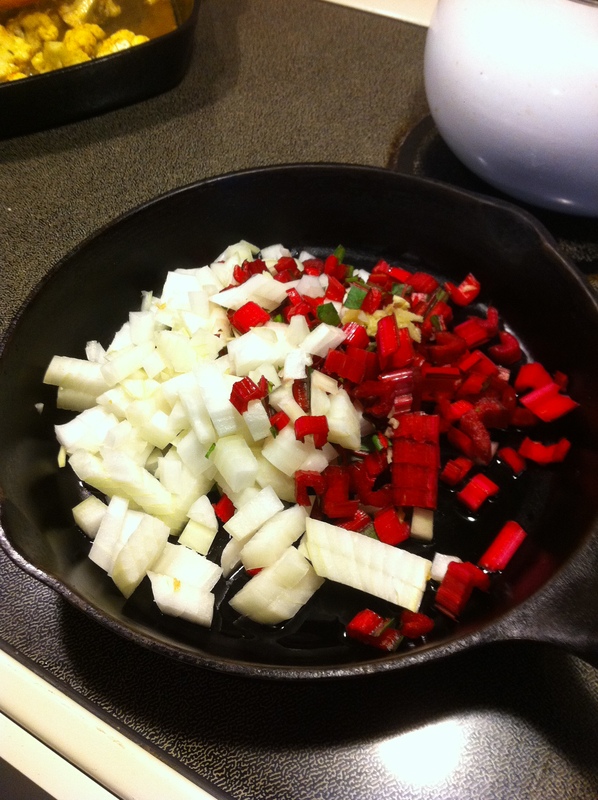 Add both to a hot pan with fat of choice. (I usually use bacon fat. Everything is better with bacon fat!) Cook until onion is translucent. 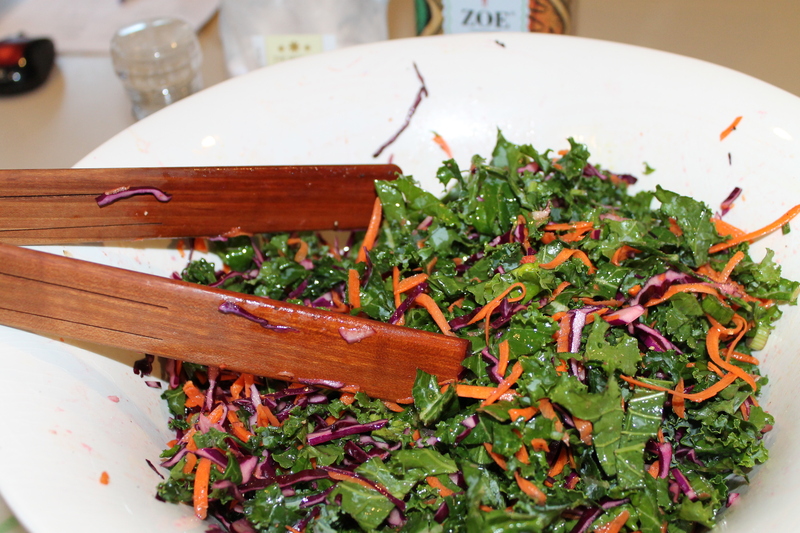 Add greens. 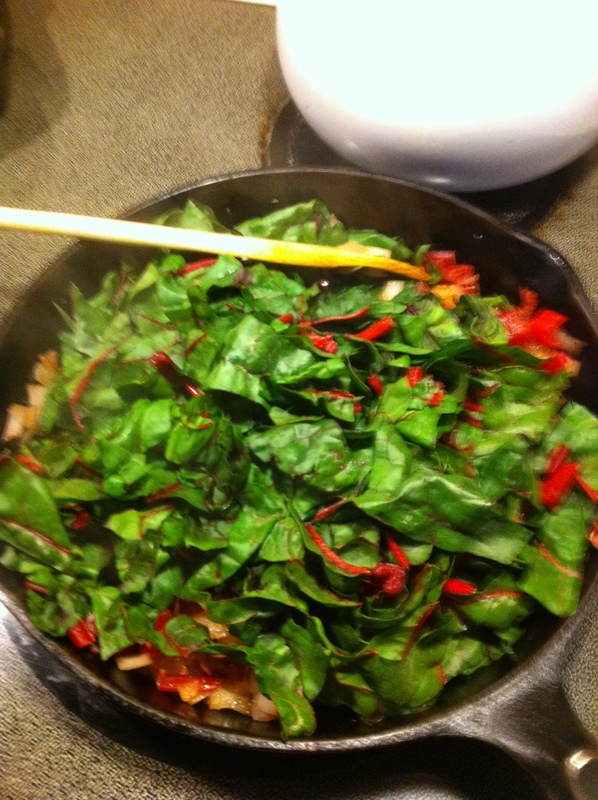 Take off burner in 1-2 minutes and stir until greens are wilted. 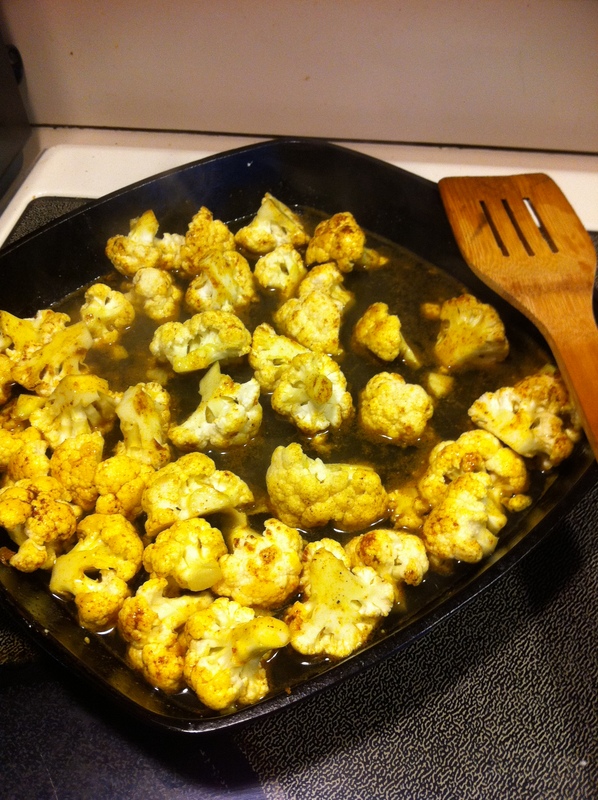 So, curried cauliflower. I’m totally addicted. And it’s so easy to make. 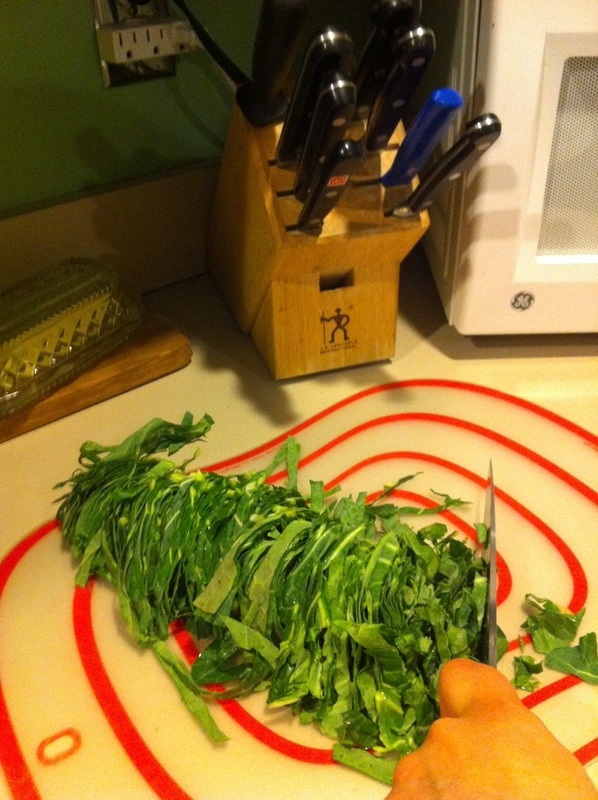 Cut up a head of cauliflower into florets. Heat 1-2 Tablespoons of coconut oil in a large pan. 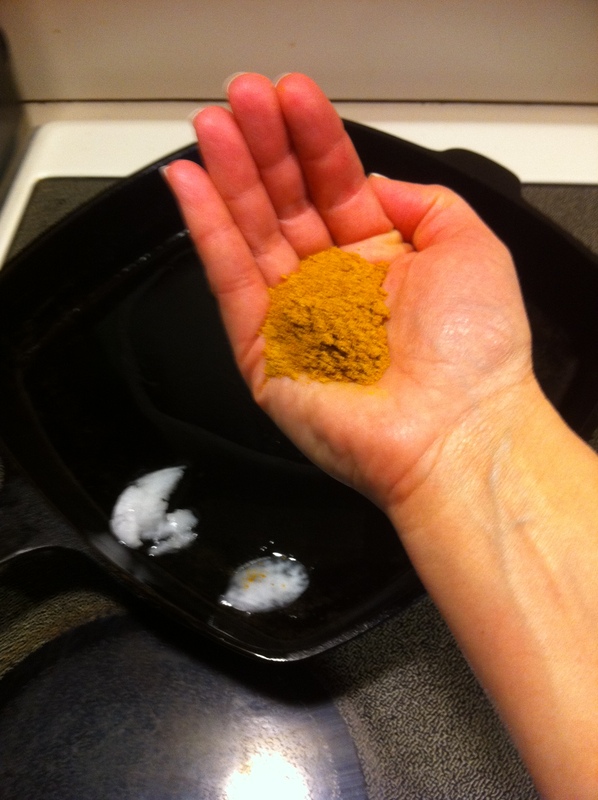 Add 1-2 Tablespoons of curry powder. Stir to mix with oil. 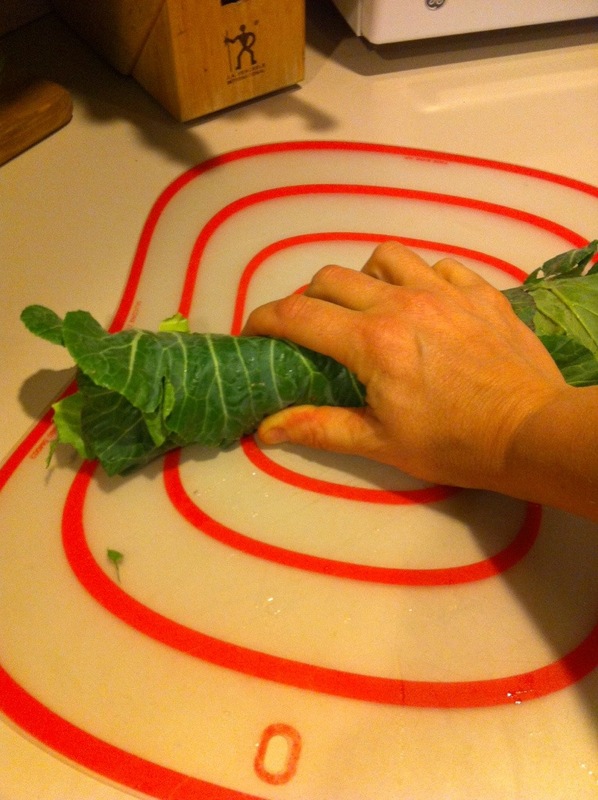 Add cauliflower and stir to coat. 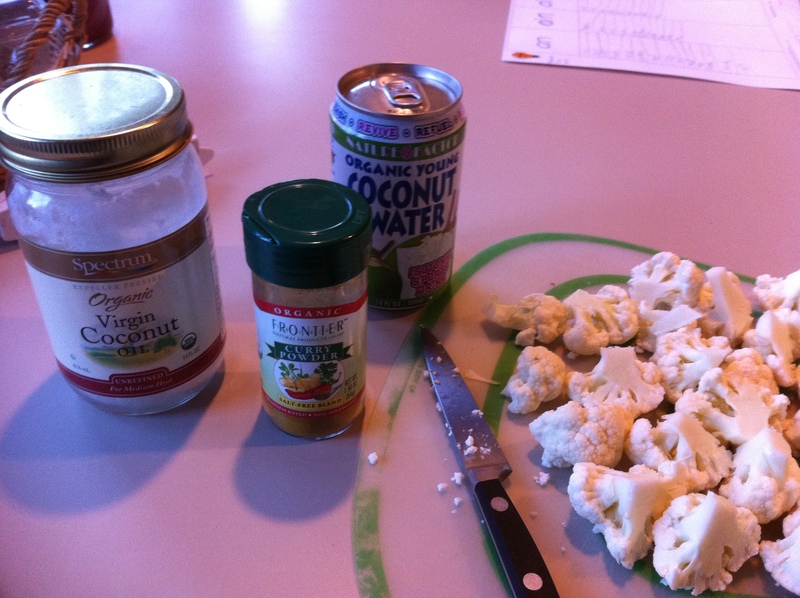 Add one can (11 oz) of coconut water. Cook until softened (I cover it for a little while to let it cook through depending on how big the pieces of cauliflower are). Continue to cook uncovered to allow the coconut water to cook off and let the cauliflower brown a bit. Share if you have to.